Even the view to the north was nice, if a bit daunting as the Platthorn loomed in front of us the last quarter of the hike. The views from the planes flying overhead must have been breathtaking with the Swiss Alps spread out below like a white carpet. 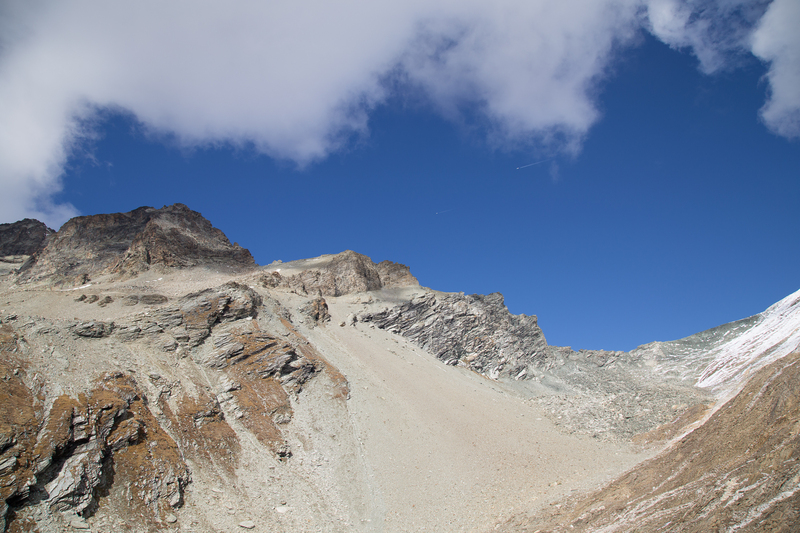 But the Platthorn itself was impassable with our gear — the trail to the summit is already steep, and as it was snow-covered it made no sense to continue upward. 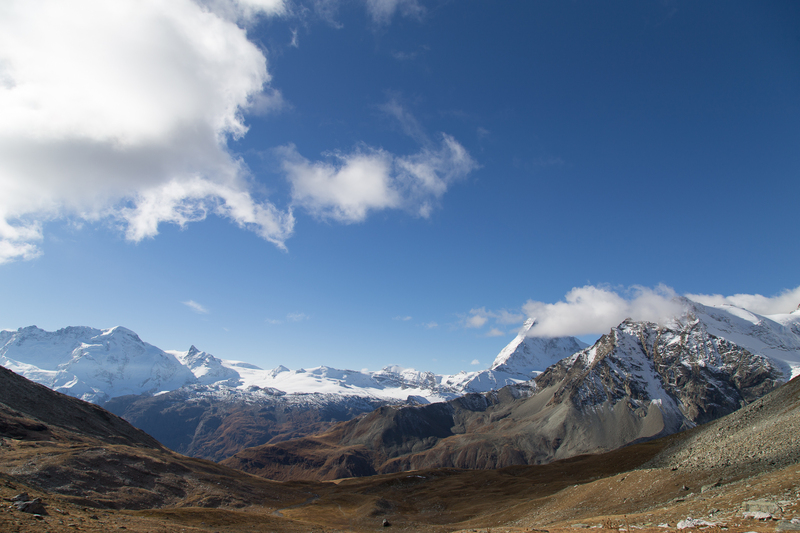 A quick scout of the path to the neighboring Mettelhorn, its summit 20 minutes from that of the Platthorn, also had disappointing results. 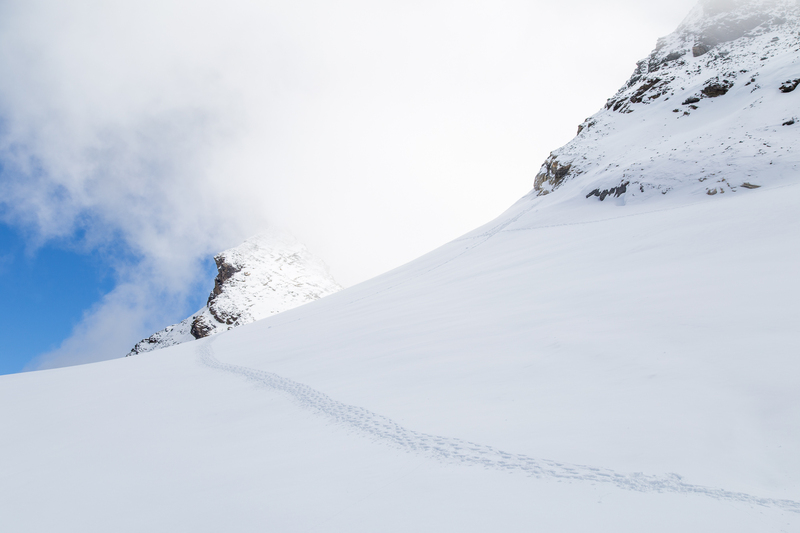 Fresh snow covered up perennial cracks in the glacier between the Platthorn and the Mettlehorn, making that mountain also rather inaccessible without proper gear. No mind, however; the views and the tranquility were beyond sufficient. We saw less than ten people (crossing paths with even fewer) in the ten or so hours we were on the trail. 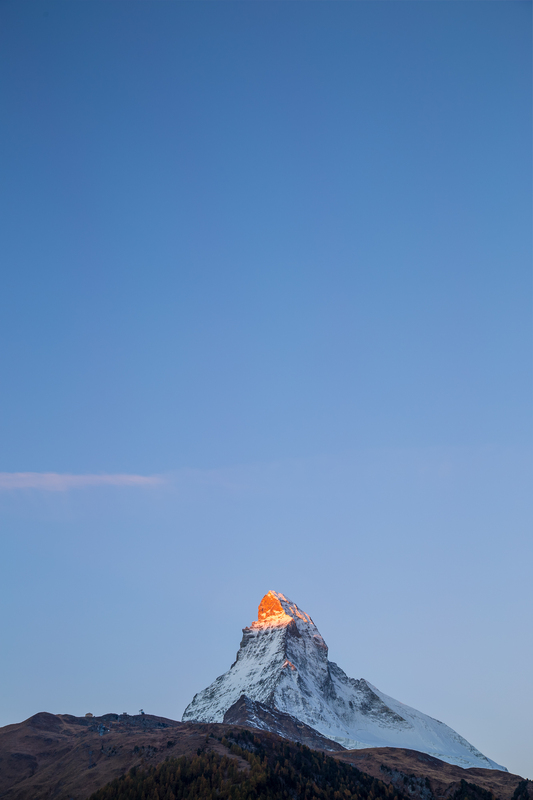 Hotels in the city would be envious of the views we had to the Matterhorn from our Airbnb rental. We didn’t have time for a sunrise hike the following morning so this advantage came in quite handy, as the skies were completely clear for sunset and sunrise. I was still heading back to the apartment during sunset and missed the colors, but not long after, the stars came out. It was quite simply mesmerizing. Two days before the new moon, the night was also nearly perfectly dark, with the Milky Way easily visible to the naked eye. 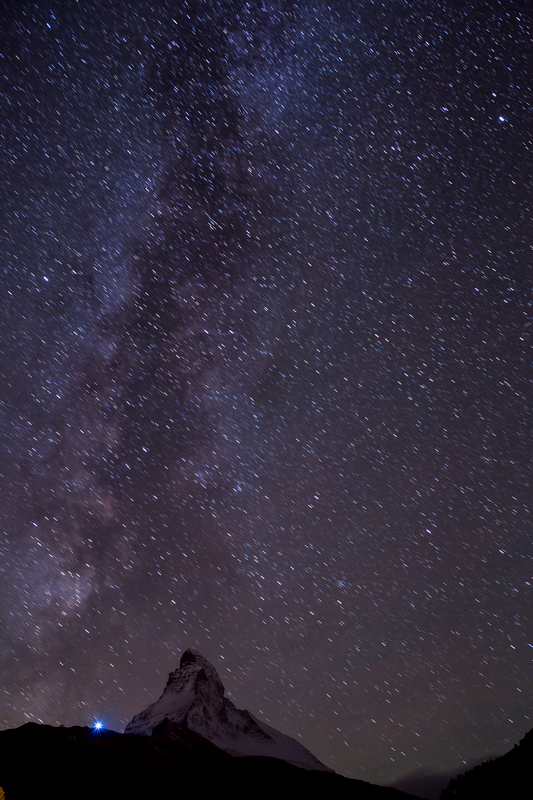 Technically, the picture is flawed: the stars are just enough blurred to make them disorienting, and the Milky Way isn’t as clear as it should be in a night shot. It’s also not figuratively accurate, as the mountain stands stoic here but in reality is constantly being ground down by glaciers and the elements. Nevertheless, it’s easy to understand why people keep coming to this rather inaccessible dead-end in a rather inaccessible valley. 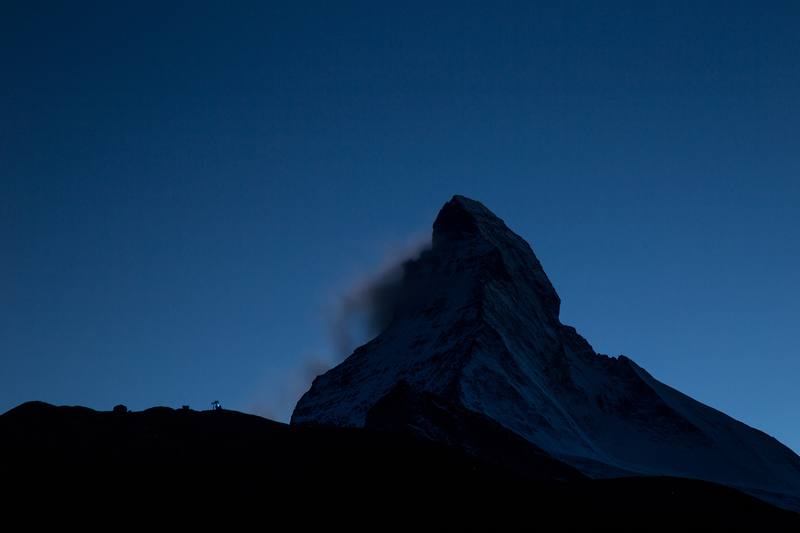 In the morning, I saw my third Matterhorn sunrise, though it’s been four years from the second to the third. I’m not sure if mountains or low clouds blocked the rest of the east face from lighting, but it was still a wonderfully easy sunrise viewing. Why hike five hours when walking down a flight of stairs and onto the balcony will suffice? 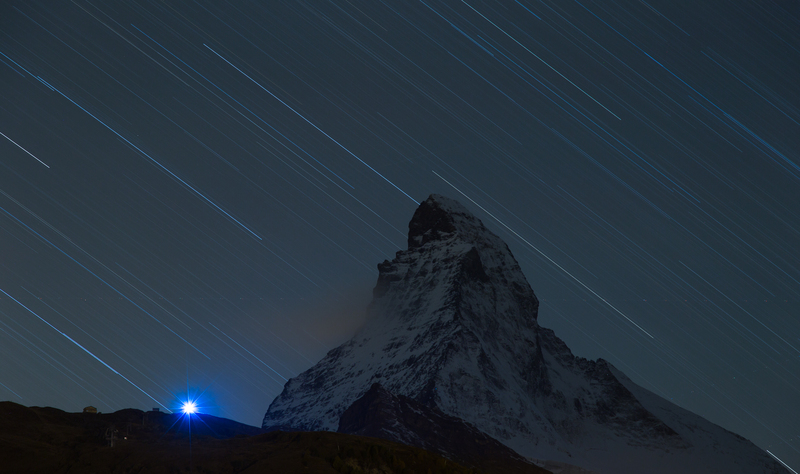 Unlike the last time I was in Zermatt, this time the city didn’t feel quite as cozy, to borrow the German gemütlich. It was just a little more commercialized, it had a few more hotels or rentals available, and a few more buildings were being built on open ground. But there’s a certain allure to that mountain, to the pristinely fresh air, that keeps the crowds, and me, coming back for more. The question is, will any other trips there materialize this year? Looks like National Geographic. So good! Are you using a polarizer? No, no CPL. I ordered one but it came after I left for Germany. I’ll pick it up when I’m back in the States for Christmas.